We have been going full steam ahead with Bee Crafts the last couple weeks. 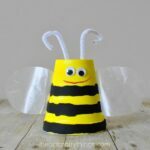 We started with our Paper Bag Bee, then had fun making Balloon Print Bees and yesterday I shared a cute Tissue Paper Bee. I’m not exactly sure why I love them so much lately…but I think they are adorable so why not?! 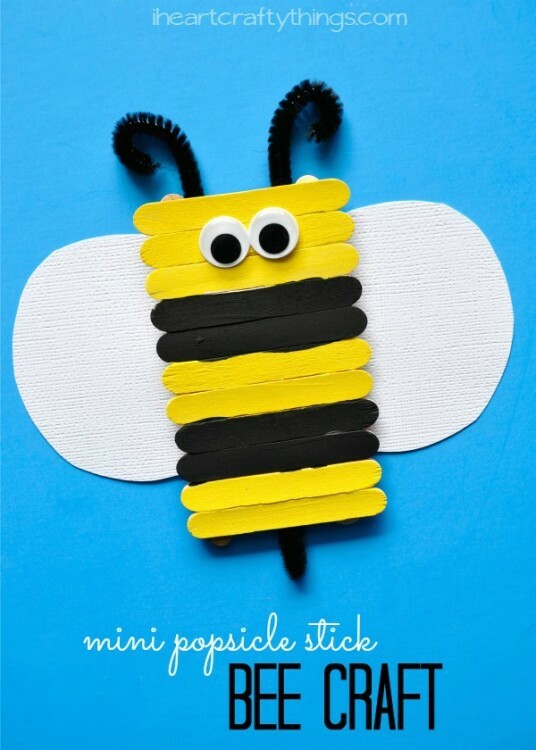 Today I think I’ll finish off my bee obsession with this fun Mini Popsicle Stick Bee Kids Craft. So simple, colorful and so cute! 1. 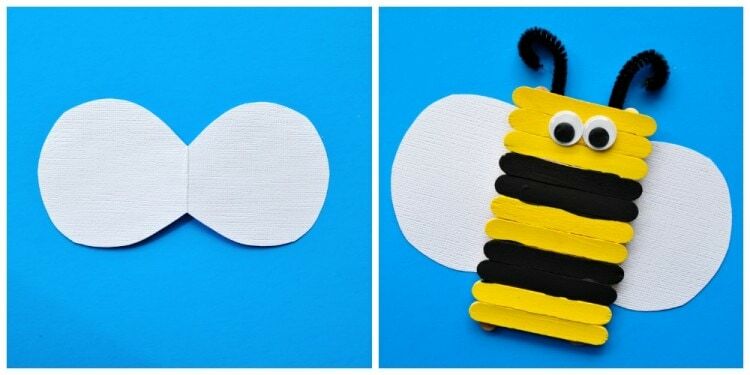 Start by assembling the body of your bee. 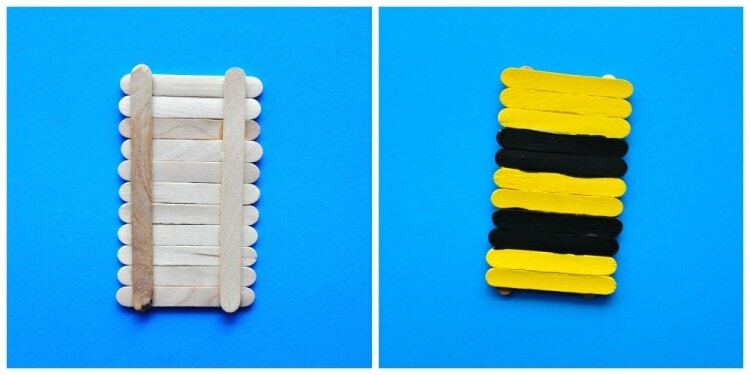 Use your tacky glue to make a line of glue along two regular sized popsicle sticks and line mini craft sticks all along them. (see picture below) Let the popsicle stick dry completely before moving on. 2. 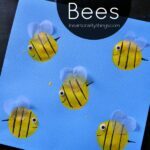 Use your yellow and black paint to paint a striped pattern along your bee body. Let the paint dry completely. 3. 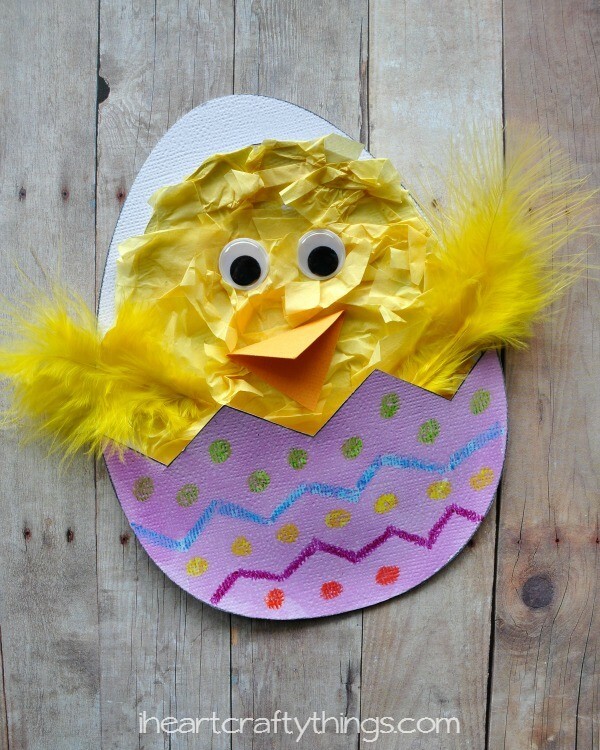 Cut circle wings out of your white cardstock paper. I folded my paper in half and cut out a circle shape, leaving the fold part intact. 4. Glue your wings to the back of your bee with your tacky glue. 5. Cut your pipe cleaner into quarters and use two of the sections for the antennae. Curl the ends over and then glue them to the back of your bee. I used tape to reinforce them while they dried. 6. 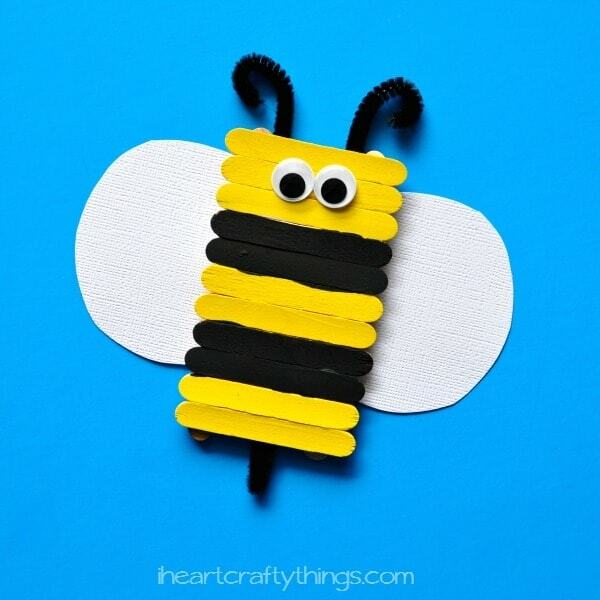 Fold another pipe cleaner section in half and glue and tape it to the back of the bee at the bottom for a stinger. 7. 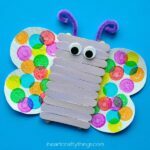 Finish your bee by gluing googly eyes on him.